SEO is a critical part of any website. A website that has been properly optimized to take advantage of search engines, like Google and Bing, has an instant advantage over the competition. If your business plans to be competitive online you need an SEO strategy. Milestone SEO provides complete SEO strategies that can improve both your business’ ranking and website traffic. Ask 20 people on the street how to find something and you know what 19 of them will say? “Why don’t you just Google it?” Search engines are our window on the greater internet. Especially Google which has become synonmous with “search”. Google is usually the first step anyone takes when finding anything on the internet. But what happens when your website isn’t on the first page of Google? Or the second page? A common misnomer is that SEO is a Thing you do to a website once to get that website a high rank in Google. The reality of search engine optimization could not be further from this misnomer. The truth is that SEO is an ongoing process that employs multiple strategies to boost a website’s placement in Google. The foundation of any good SEO strategy is great quality content. Farmers used to proclaim, ‘Rain follows the plow!’ In SEO we say, ‘Google follows great quality content.’ To rank highly on any search engine and get a lot of organic search traffic your website must have great content. What makes content great? Content that your customers can read and find useful, content that provides information, content that entertains. In addition to content, an SEO strategy should also take into account how your website works on a technical level. Does your website contain proper meta-data? Does your website use structured data? Is your website free of 404 errors. And, lastly, an SEO strategy should incorporate off site SEO, like White Hat link building techniques and social media management that boosts your website’s exposure. Why Hire Milestone SEO for Your Website’s SEO? 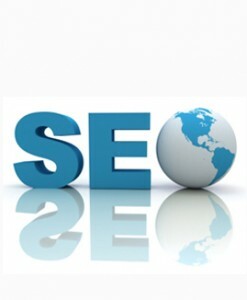 Milestone SEO knows search engine optimization from beginning to end. We take the time to understand your business, your goals, and your website. Milestone SEO will then outline a strategy to both increase your search engine ranking and more importantly drive traffic to your website. Our SEO strategies are designed to bring in useful traffic to your website that converts to sales for your business. At Milestone SEO we do not make wild promises. We will never guarantee that you will be Number 1 in Google, or Bing, or Yahoo! Instead, we focus on building a concrete foundation for your internet marketing strategy that your business can build on for years to come. Milestone SEO is your SEO partner for the present and the future.